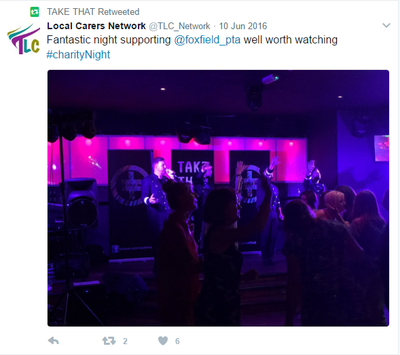 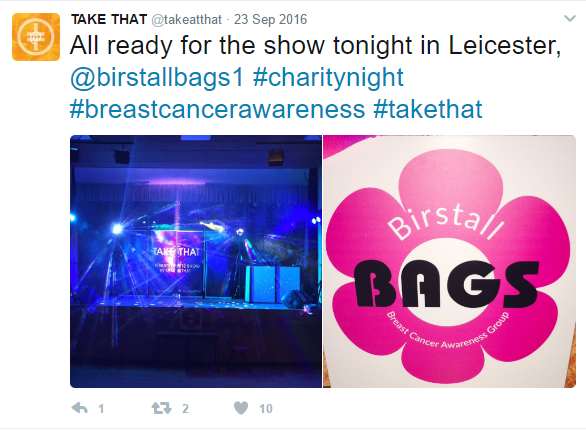 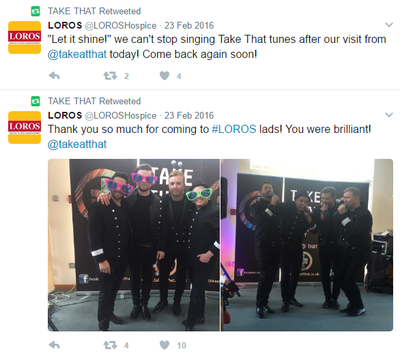 Take@That have worked very closely with many charities, from LOROS to more local charities. 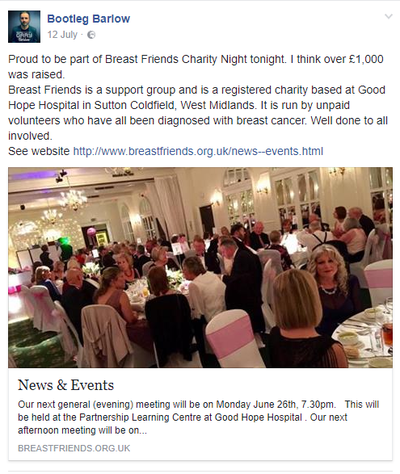 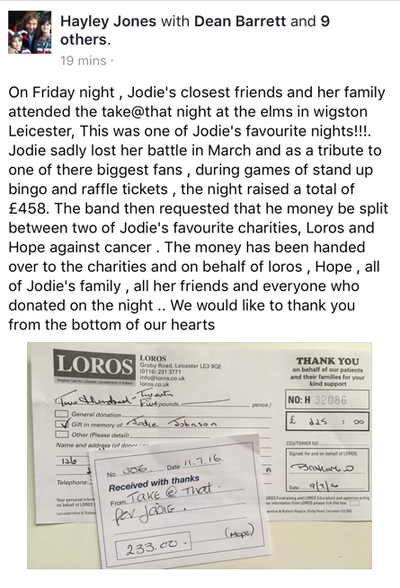 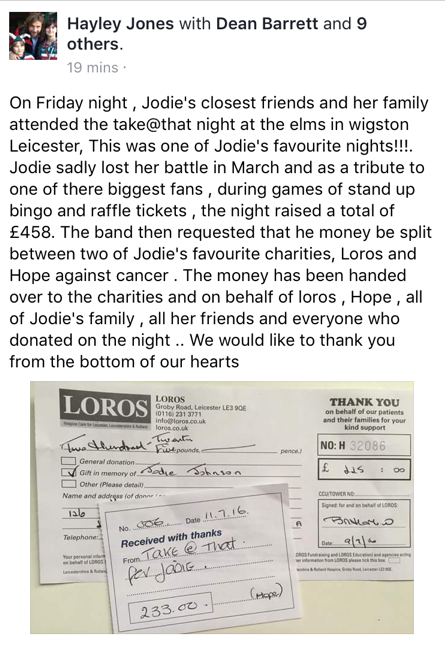 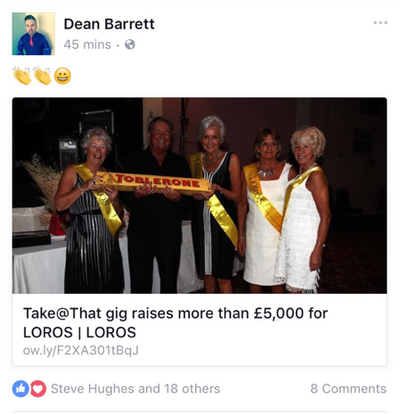 In 2016 we were pleased to help LOROS raise over £5000. 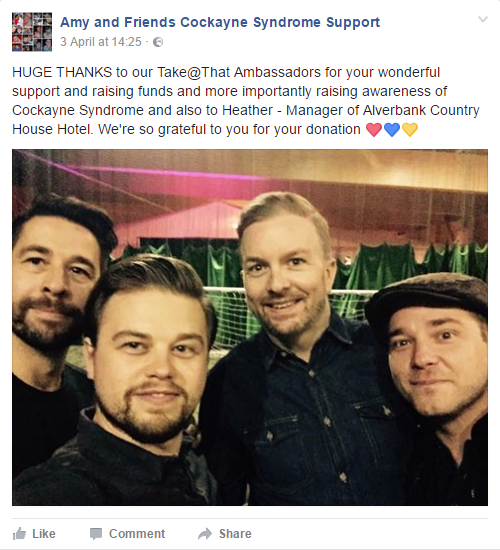 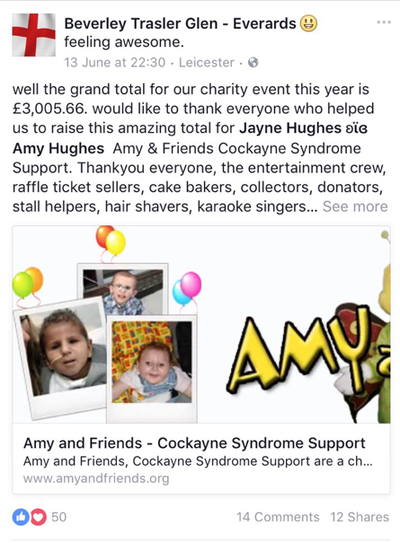 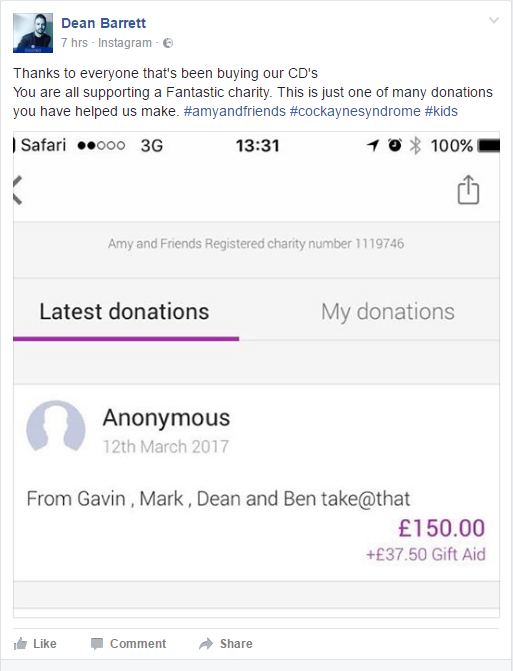 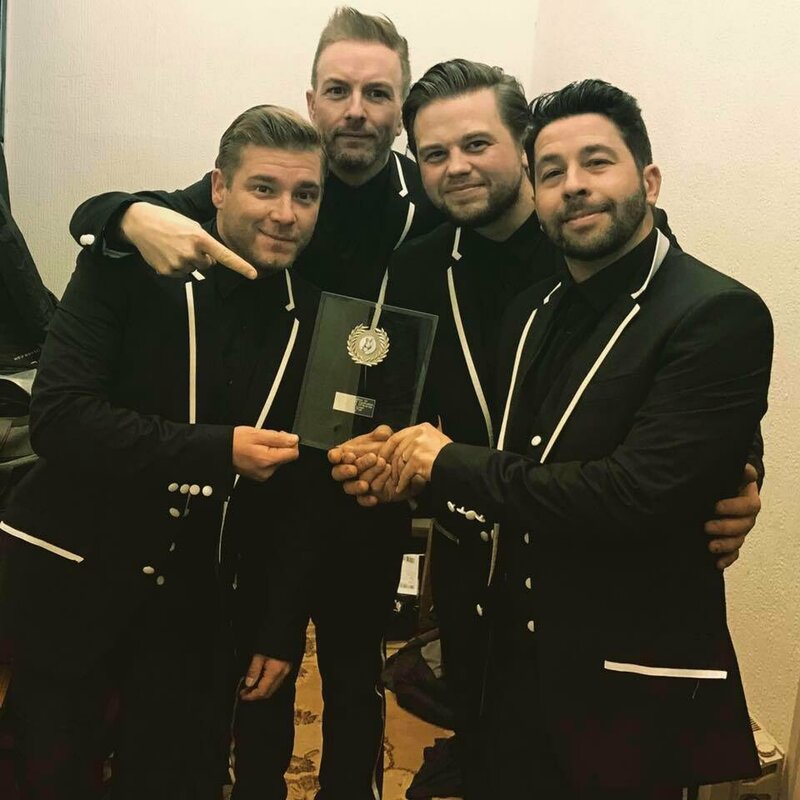 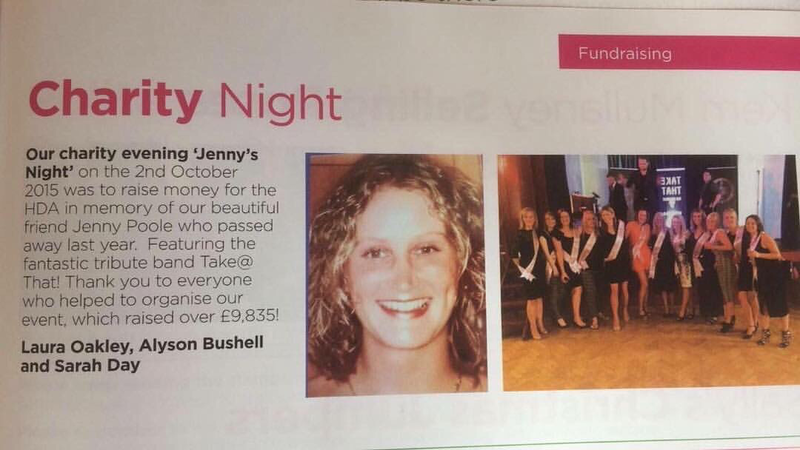 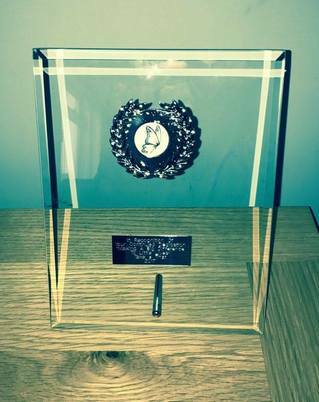 We are very proud to be ambassadors of children's charity Amy and Friends, dedicated to the support of Cockayne Syndrome sufferers and their families. 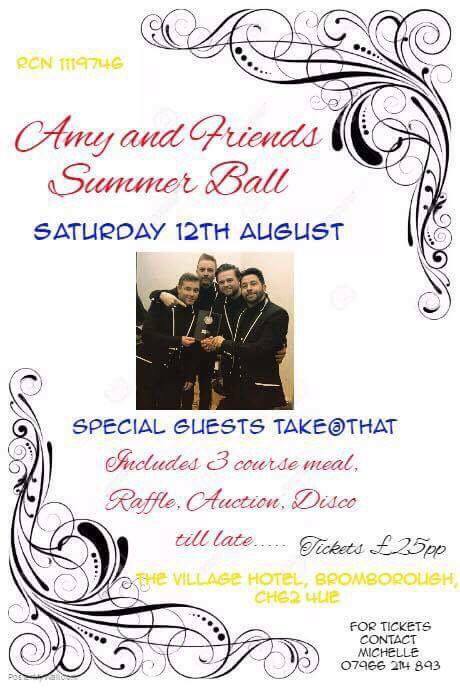 For more information please click the picture below. 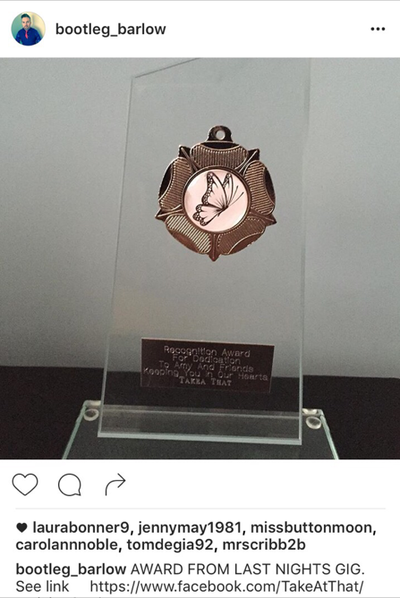 amy and friends award feb 2017: "In recognition of your continued dedication. 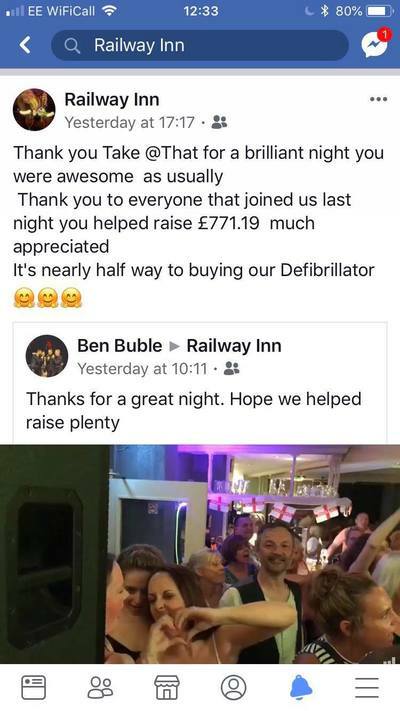 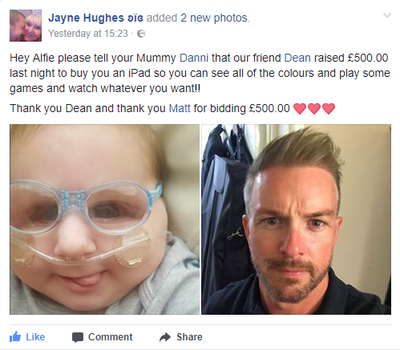 Making a big difference to little lives. 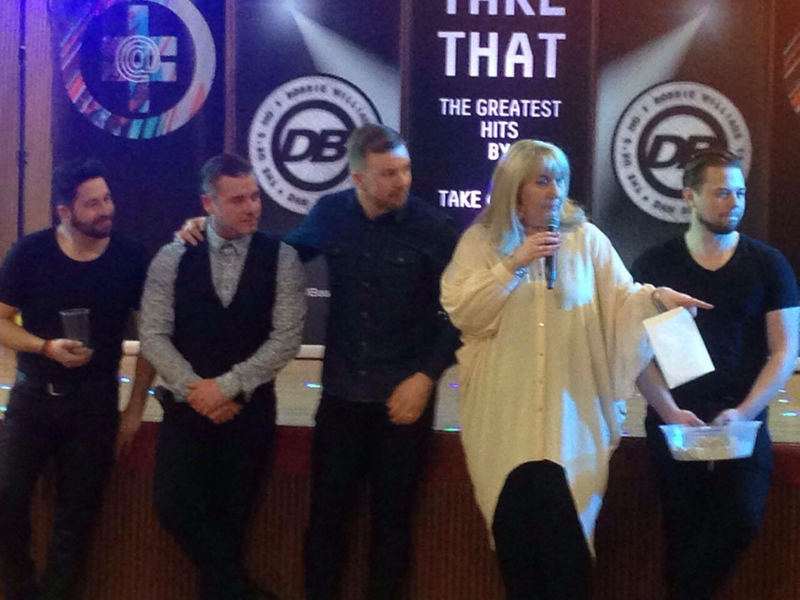 Take@That 2017"